Scott Lehr can help you when you are looking to purchase a foreclosure property and give you the proper representation you need to help close the deal smoothly and quickly. I am an experienced real estate agent when it comes to working with foreclosures, and I will give you all the information needed for you to make the best and most thorough decision possible. If you are interested in purchasing a foreclosed property, allow Scott Lehr to give you the buyer representation you need to handle it correctly. For further information contact Scott Lehr today. House flipping is when real estate investors buy homes, usually at auction, and then resell them at a profit month down the road. Can you make money doing this? Yes. Can you make a lot of money doing this? Yes. 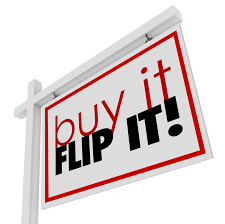 See our list of fix and flips. You can find some real bargains in the real estate market. In fact, there are 1-2 million foreclosed homes for sale right now, and the Wall Street Journal reports that another 7.5 million U.S. homeowners are either behind on their payments, or in the foreclosure process. Thanks to tighter lending standards, and a depressed buying market, you need plenty of cash, and nerves of steel, to get into house flipping. Imagine buying a house for $50,000, investing another $20,000 in renovations, and then…nothing. No one wants to buy the house. You now have to pay for your own rent or mortgage, plus the mortgage for this home, and utilities, insurance, and property taxes.